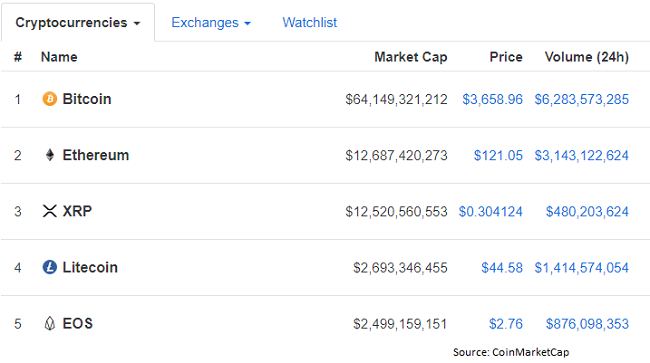 Ethereum has surpassed Ripple’s native token XRP to reclaim the second spot in the list of cryptocurrencies by market capitalization. On the upside, ETH/USD faces strong resistance at $133 (Cloud top) and a break above would see it testing $141 (100-EMA)/$160 (Jan 05 high). On the flip side, support is seen at $113 (7-DMA) and a break below would drag it to $100 (February 06 low).